Beware of cheap imitations! 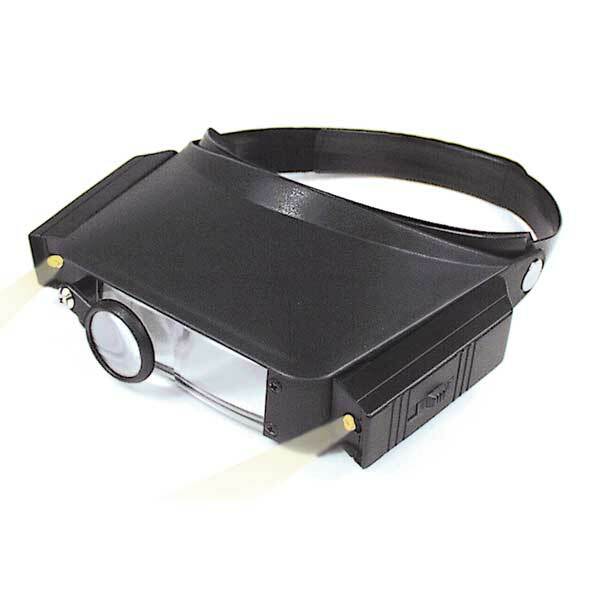 Our Deluxe Headband Magnifier not only has twin-beam, focused lighting, but also let's you select the magnifying power you need with just the touch of your finger. 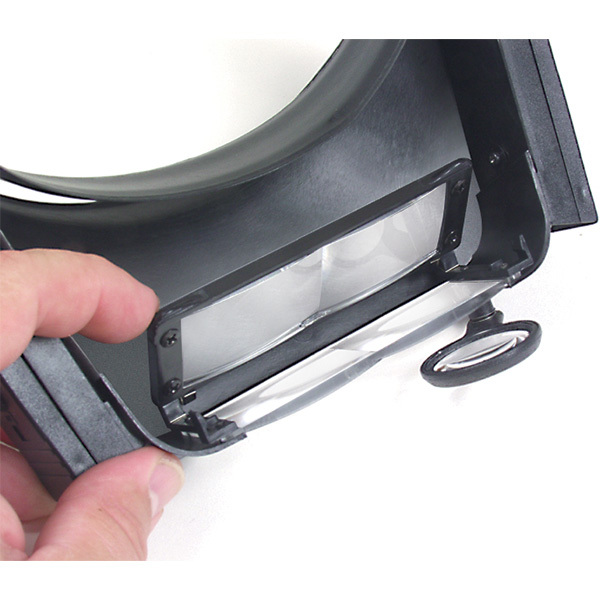 Contained under the hood is a special flip-down auxiliary lens plate you use in combination with the attachment loupe, providing magnifications of 1.8x, 2.3x, 3.7x and 4.8x. The comfortable headband can be worn with glasses and adjusts to any size with a Velcro-type fastener. Optical quality acrylic lenses. A high quality item. Requires four AAA batteries (not included).